They have different reasons, of course, but both Gov. 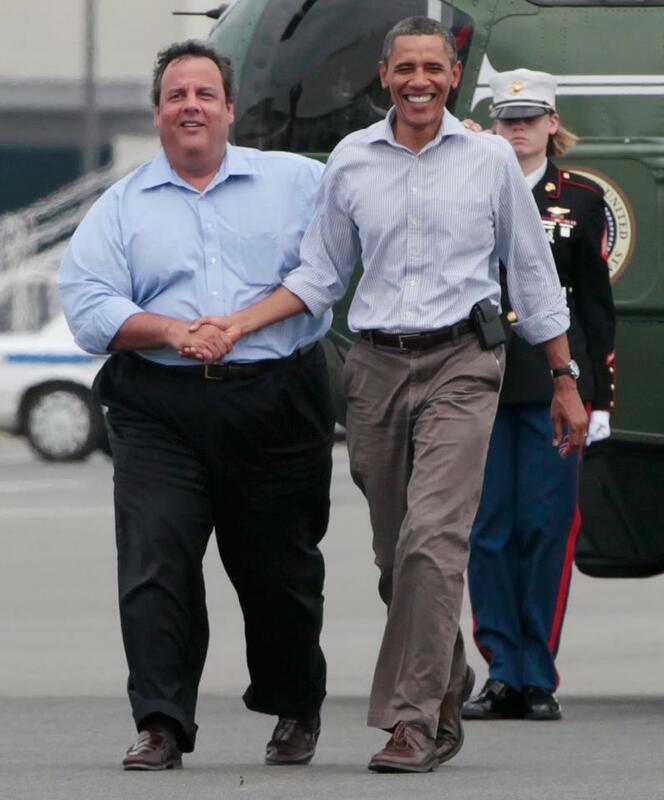 Chris Christie (R-NJ) and Pres. Barack Obama clearly want Mitt Romney to lose next week. Call me crazy, but ever since the Republican convention, it has become clear that Christie is on the outs with the Romney campaign. Have you seen him out there at all being surrogate? Now, in the wake of the disaster that has hit his state, Christie has the perfect opportunity to be "Mr. cooperative" with the Obama administration. He gets to look bi-partisan and gubernatorial, and he makes Obama look better, too. Plus, no matter what happens, Christie is the governor of an Obama state and if he were to chug a gallon of hater-ade and dump on the president, he would look terrible to the people of his state. I'd prefer to think that this is more about Christie running for president in 2016.